Spring is in the air. It is getting warmer outside, the sun is shining, flowers are budding, and it is time to finally put away the winter wardrobe. Some are doing spring cleaning, others are packing their bags for trips to even warmer climates and brighter sunshine. But many in the high school crowd are getting ready for the big dance. Prom! And yet, instead of being completely excited by this event, many have worries- especially the ladies! They worry about what dress to wear- the style, the color, and whether or not it will suit their bodies and skin tones. Sometimes the thought of enjoying the time with friends is overshadowed or tainted by looks. Well, as far as coloring goes, you skin is in better hands than you think. Sure, those shoulders haven’t seen seen any vitamin D since Labor Day, but they don’t have to look like it. Tanning salons offer multiple services that are perfect for solving this problem. Between the tanning beds, spray tans, airbrush tans, or even bronzing lotions, most people can find an option that works for them. Getting that tone and glow is easy, relatively affordable, and makes showing off the perfect dress a lot less intimidating. For these reasons, many will choose one of the methods of getting tan quickly, investing in beautifying their skin. Taking advantage of the tanning beds is a common method for pre-prom teens because it gives good, natural color and builds a base tan. 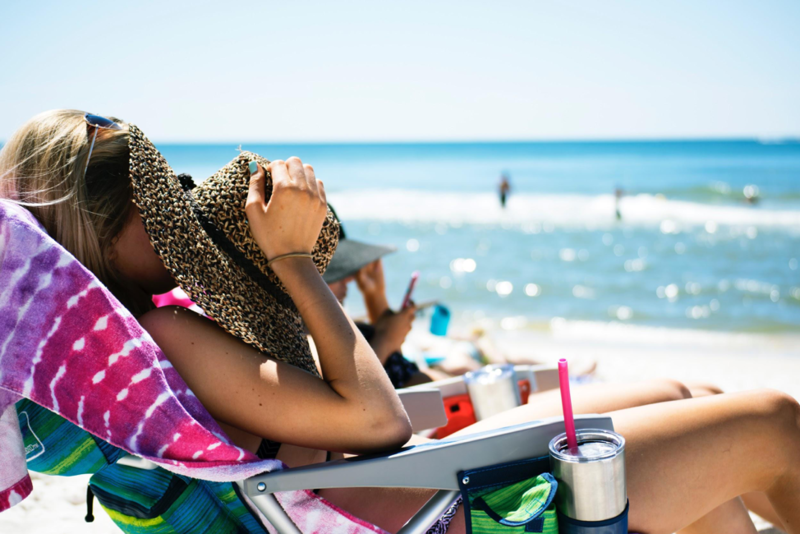 If you are going to be wearing a dress that you are afraid will pale you out, schedule a few visits to the tanning bed in advance of your trip. Go into the salon, apply the tanning lotion, and spend about ten to fifteen minutes per session in the bed. Make sure you have removed all makeups, deodorants, perfumes, and other beauty products. Next year, you might even consider keeping the tan all year round with maintenance visits to the tanning bed. You could also ask the salon for tanning extenders and moisturizers that will allow you to prolong the look of your sun-kissed tan.